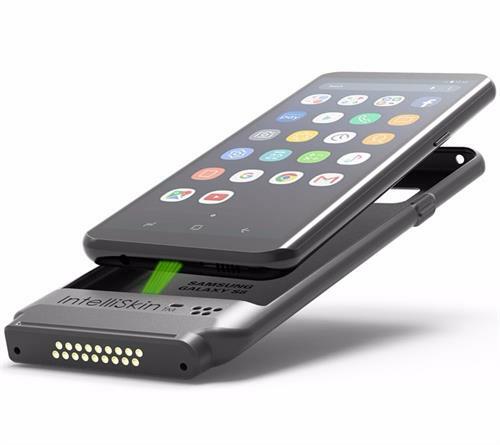 RAM Mount IntelliSkin Samung Galaxy S8 phone case integrate the device charging port into the sleeve creating standard charging contacts compatible with all GDS enabled docks. This protects and ruggedizes popular consumer Samung Galaxy S8 mobile device for commercial use. When used with GDS compatible docks and a connectivity hub, you gain easy device charging, data pass through and peripheral use whether at a desk, vehicle or workstation.